The ultimate source of La Marseillaise is pictorial. 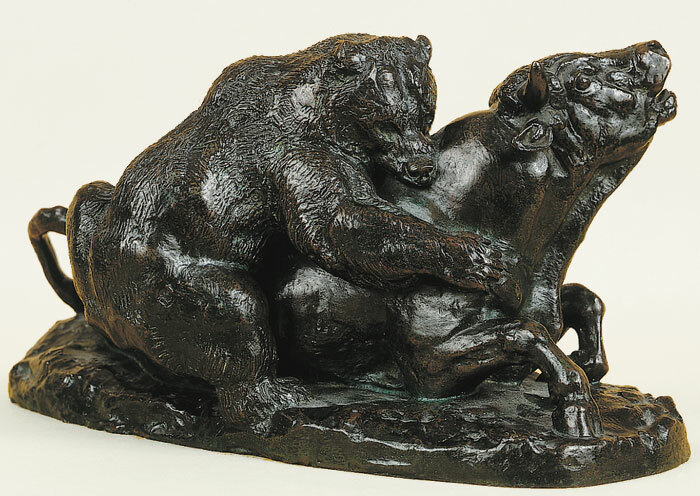 In a similar way, Stubbs' Lion Attacking a Horse (see fig. 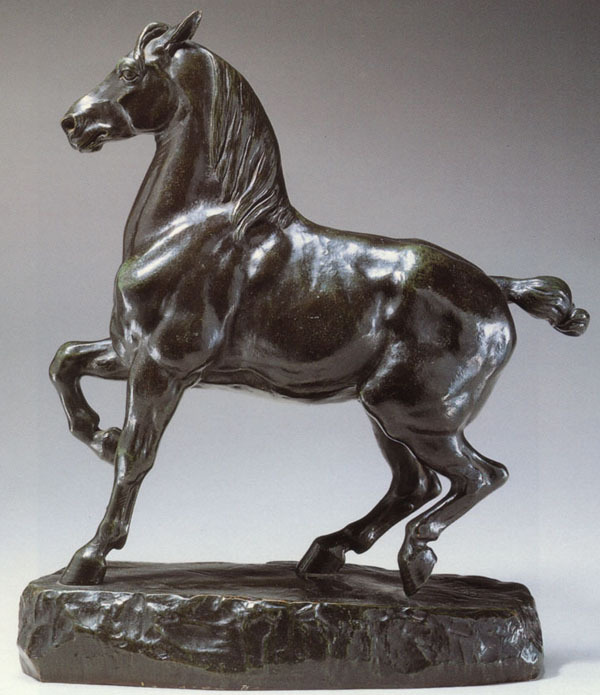 863) is the sire of animal groups by Antoine-Louis Barye (1795�1875). 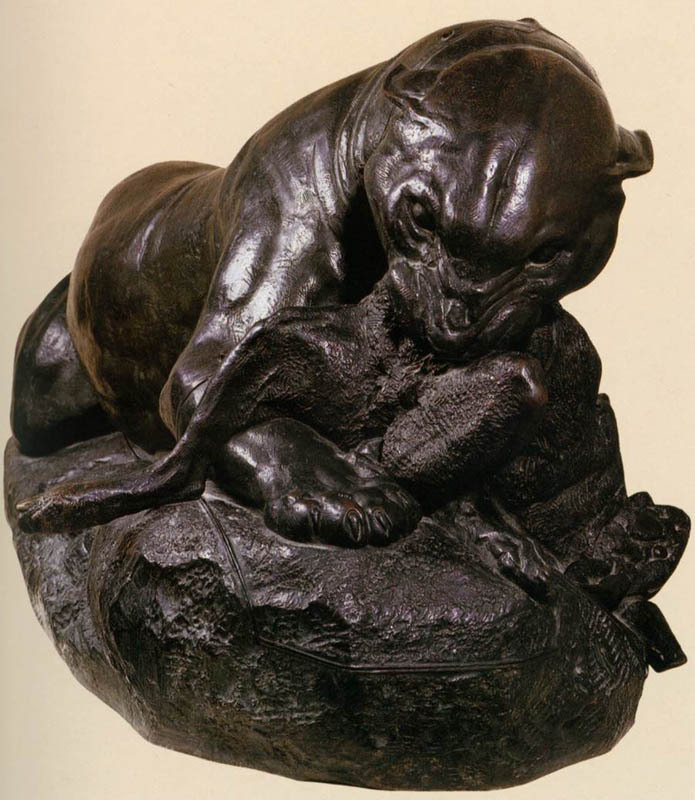 Barye followed in his father's footsteps as a goldsmith, but spent all his free hours at the Paris zoo, sketching live animals and studying their anatomy. He also became a friend of Delacroix, who shared these interests and sometimes treated the same themes. 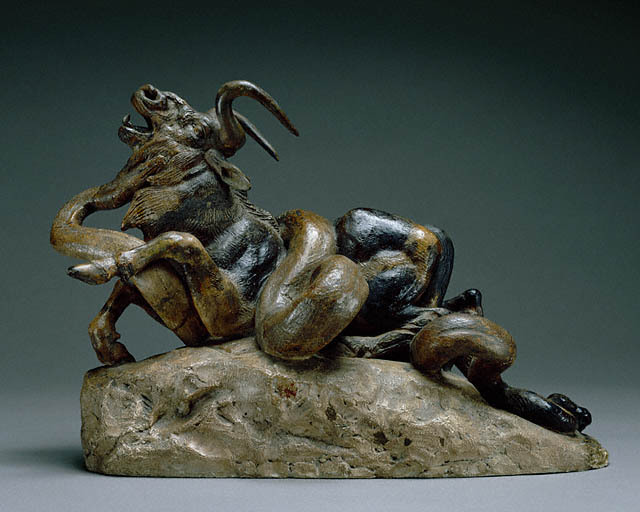 Barye scored his first public success at the Salon of 1831 with the plaster model of Tiger Devouring a Gavial of the Ganges (see fig. 920). His group displays a realism based on thorough zoological knowledge, but what really impressed critics and public alike was the ferocity of the tiger, the pitiless display of "nature red in tooth and claw" so exciting to the Romantic imagination. 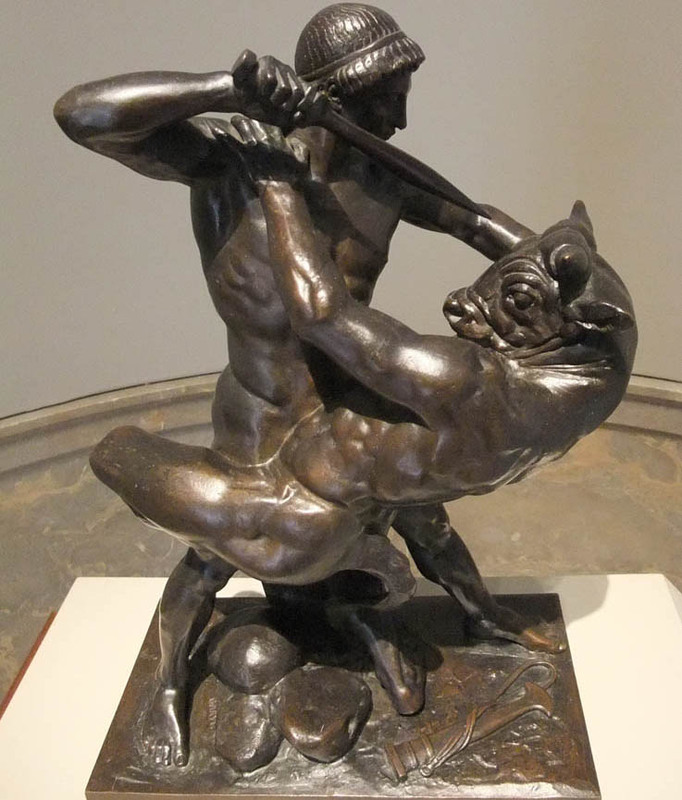 Animal combats had a long tradition in Western art going all the way back to classical antiquity, but these followed well-established formal conventions that governed both the choice of animals and their compositional relationship. 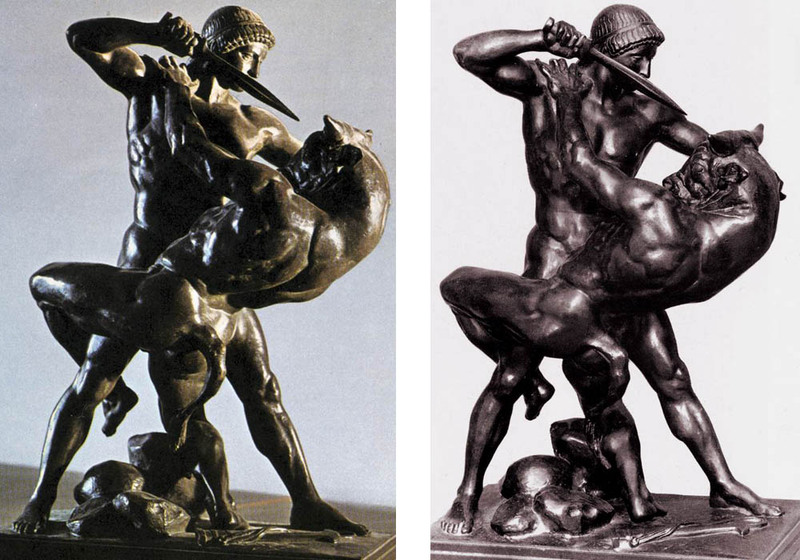 Barye disregarded all such precedents. Not only did he study his animals directly from nature, he chose exotic species and combinations. What mattered was not the zoological implausibility of the group (gavials are unlikely prey for tigers) but its expressive power, intensified by the monumental compactness of design. 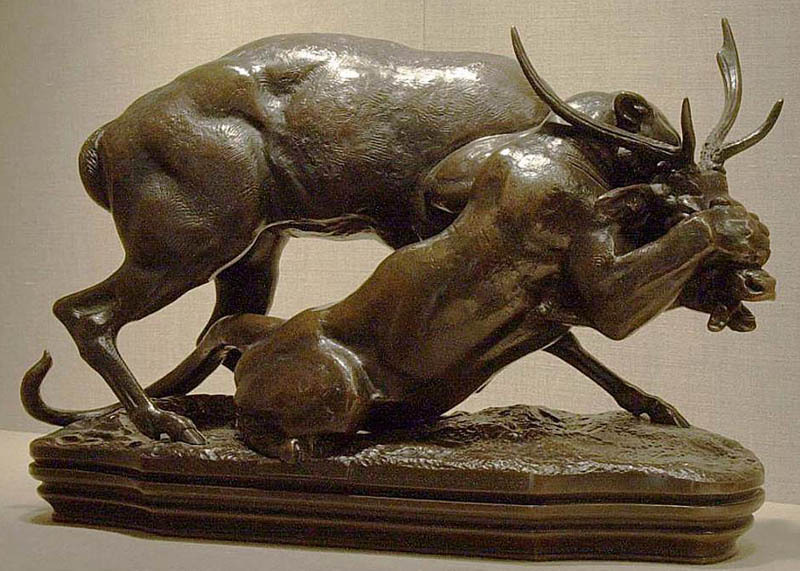 Antoine-Louis Barye, (born Sept. 24, 1796, Paris, France�died June 25, 1875, Paris), prolific French sculptor, painter, and printmaker, whose subject was primarily animals. He is known as the father of the modern Animalier school. 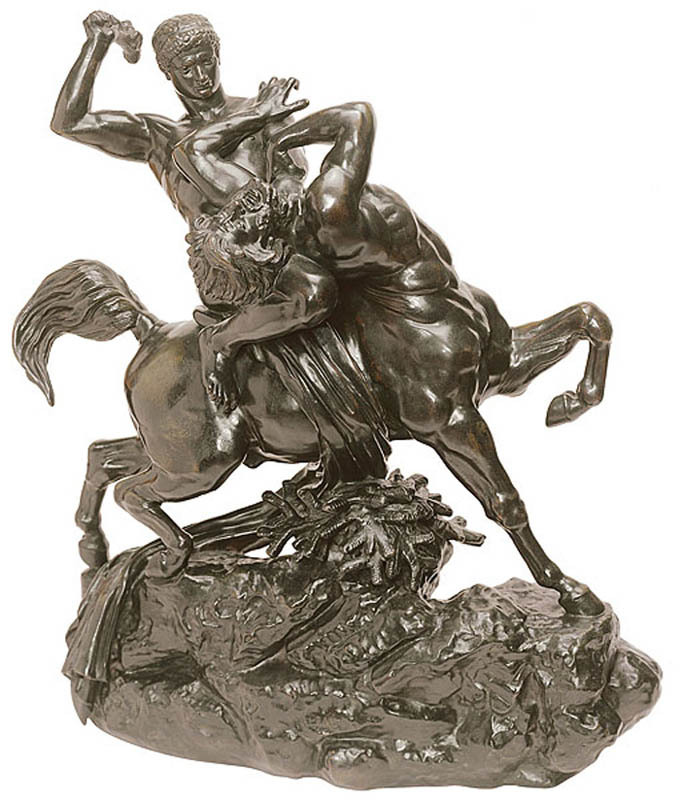 The son of a jeweler, Barye was apprenticed to an engraver of military equipment at age 13; after serving in the army, he worked for a time in the jewelry trade. 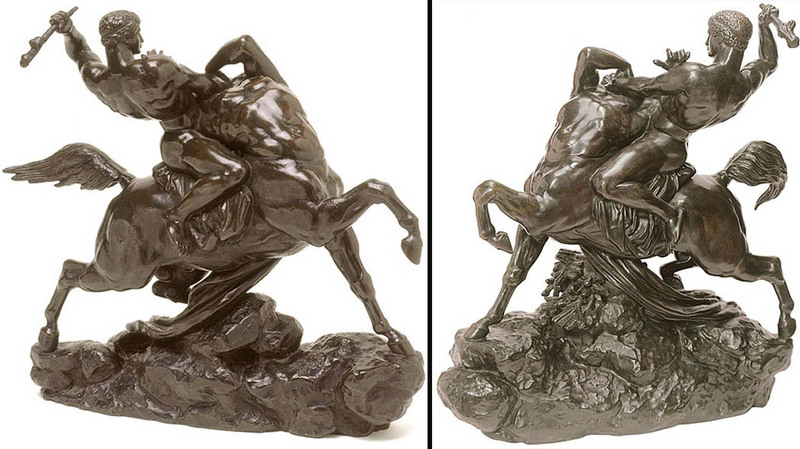 In about 1817 he began to sculpt while working in the studio of the sculptor François Bosio. 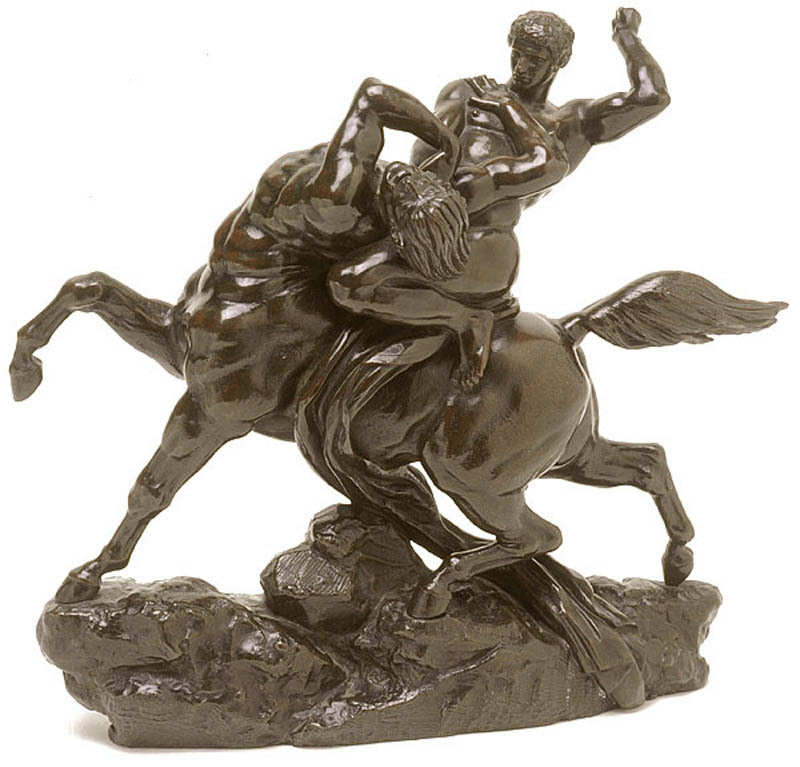 He was also influenced by the Romantic paintings of Théodore Géricault. From 1823 to 1831 he worked with Jacques-Henri Fauconnier, a goldsmith. 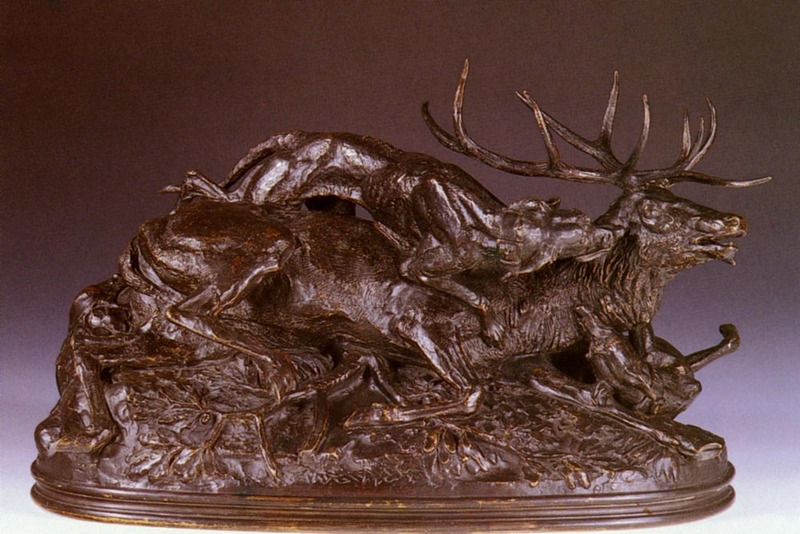 Barye�s talent for rendering dynamic tension and exact anatomical detail is especially evident in his most famous bronzes, those of wild animals struggling with or devouring their prey. 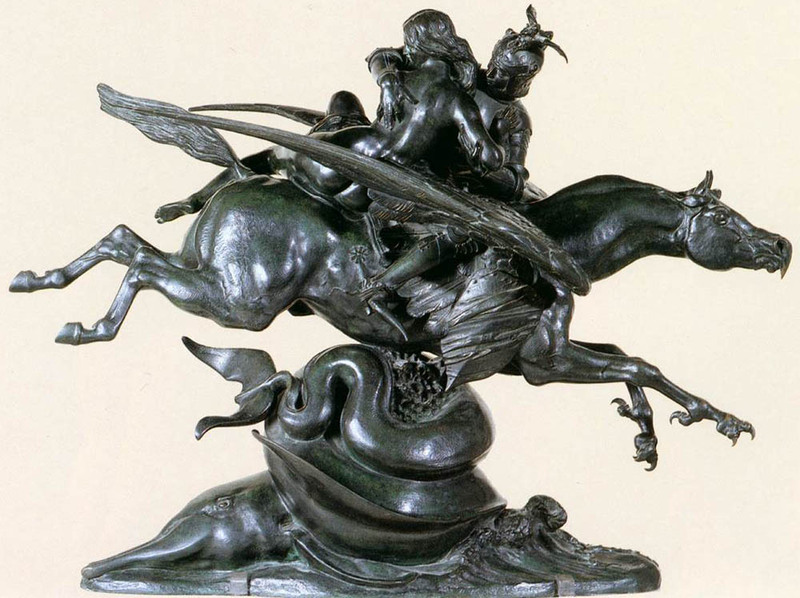 Barye gradually gained a reputation as a monumental sculptor with government commissions for images of wild animals in the 1830s, figure groups and portraits for the facade of the Louvre in the 1850s, and freestanding Napoleonic monuments in the 1860s. 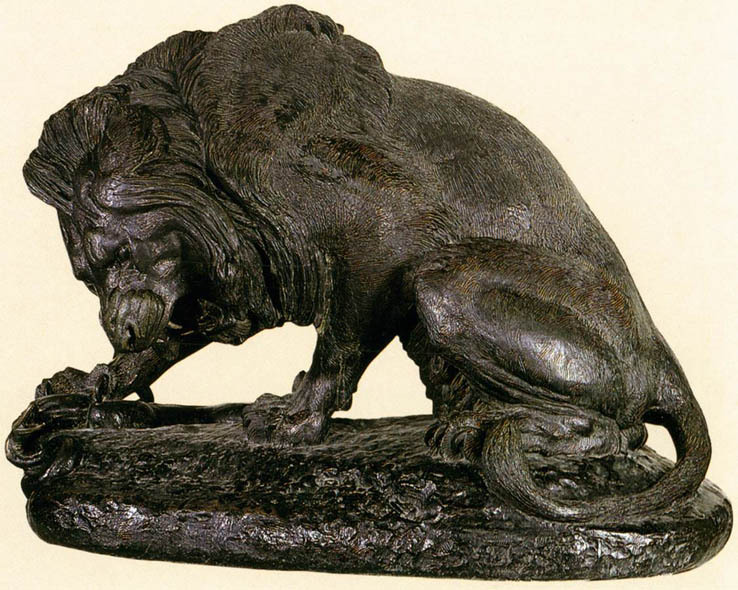 He first exhibited his bronzes at the Salons of 1827 and 1831, receiving a second prize for his Lion Devouring a Gavial. He withdrew from exhibiting in the Salon in the 1830s after a celebrated small-scale project was rejected as goldsmithery (i.e., not �high art�), but he returned in 1850, to great acclaim. 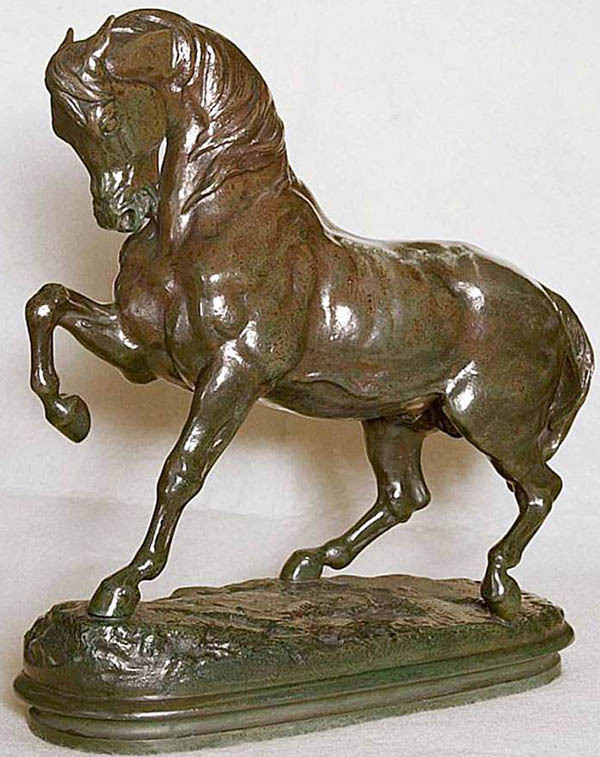 Generally speaking, Barye was responsible for having improved the status of animal sculpture, a category famous since antiquity, and for demonstrating its suitability as a modern expressive form. 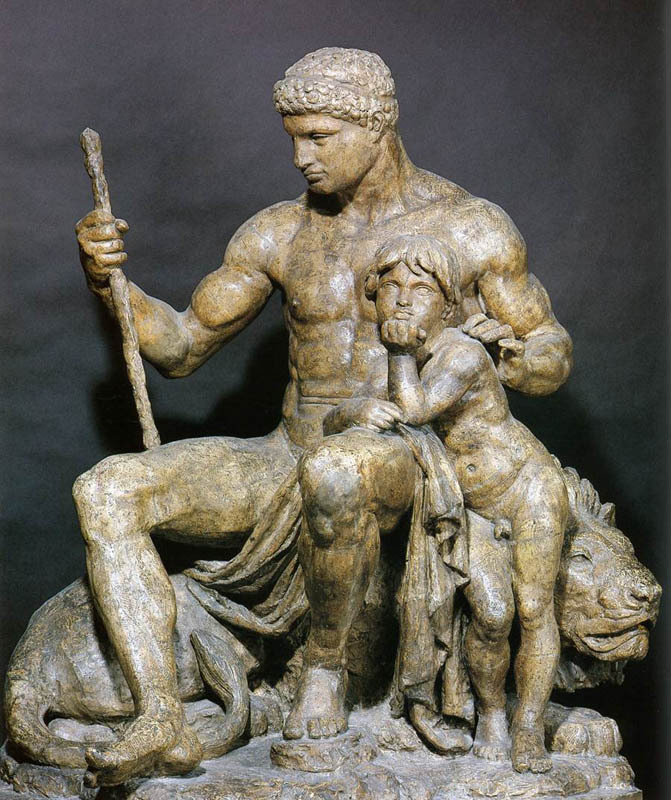 He also gained special fame as an artist who, regardless of subject matter, could meld grandeur and artistic refinement with realism in both public monuments and in small-scale bronzes for the home at a wide range of prices that the middle class could afford.